Old RV’s can become a source of contention for their owners, particularly when they cannot sell them because of mold, rust or due to damage or other malfunction. 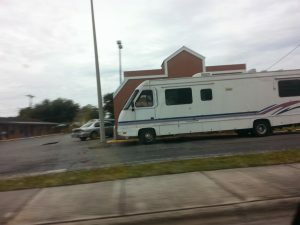 But as a St Petersburg Florida Junk Car Buyer, we also pay cash for junk RV’s. 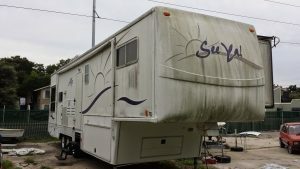 When you need to get rid of an old RV or trailer in St Petersburg, Florida, consider texting a photo of your old or unwanted RV to Cash for Junk Cars St Petersburg FL. GET A CASH OFFER FOR YOUR OLD JUNK, OR UNWANTED RV OR TRAILER TODAY! Call OR TEXT US: our ST PETERSBURG FL SALVAGE Yard PAYS CASH FOR CAR, RV’S TRUCKS, SUVS AND BOATS! Quick cash can be hard to come by and many times owners of old junk cars, trailers or RV’s don’t realize that the solution is often sitting in their garage or on their property collecting dust. Keeping an old vehicle or recreational vehicle can be expensive to insure and can be an eyesore also. 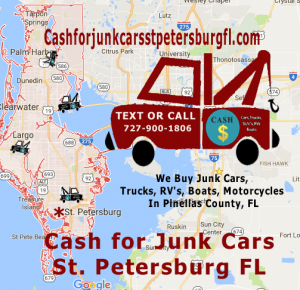 If you need quick cash for an old junk car in St Pete, FL an old or unwanted boat, your wrecked or junk RV or just about any other vehicle Cash for Junk Cars St Petersburg FL is here to help you solve your cash flow problems. Your old junk vehicle can get you out of a bind and we want to help.